Hello, lovelies! I am really excited to share this look, so out of three outfit shoot today with my husband, I choose this one to publish first. Why not? My husband like my whole look from head to toe and I feel beautiful. Hahaha! You can't deny it. Sometimes you feel extra beautiful than usual, eh? Raise your hand, lovelies! Well, today's look is kind of youthful. I feel the vibes of being teens again and I love it. Thank you ZAFUL for sending these gorgeous items. I am in love with this stand neck short sleeve knitwear because of its color. The soft hue gives an instantly romantic feel. I feel extra lady-like when I wore this. The image on the product page looks like this shirt is not body-fitting. It looks more of a loose one. I never cared to check the size chart because I judge it to what I saw. That's why when the items arrived, honestly I feel disappointed that it isn't what I was expecting but it's a cropped shirt. Again, I judged this shirt for the second time around and I said, there's no way this shirt's gonna fit me. But then, I tried it and all my disappointments suddenly vanished. It just fits me perfectly right! The material is very soft and stretchable. My heart was jumping with glee! It is very comfortable to wear. By the way, I got mine in size medium. I am also excited to pair this shirt with my pleated skirts and I can't wait. This snow wash denim shorts in black is love at first sight when I saw it on the product page. When this item arrived, I immediately tried it on and my heart overflows with so much joy because it just fit me right. You know, my normal waistline is 27 but for this particular high waist shorts, I ordered 28. Good thing I ordered an inch larger because it fits like a globe. I never feel any discomfort at all. The material is very stretchable and smooth to touch. 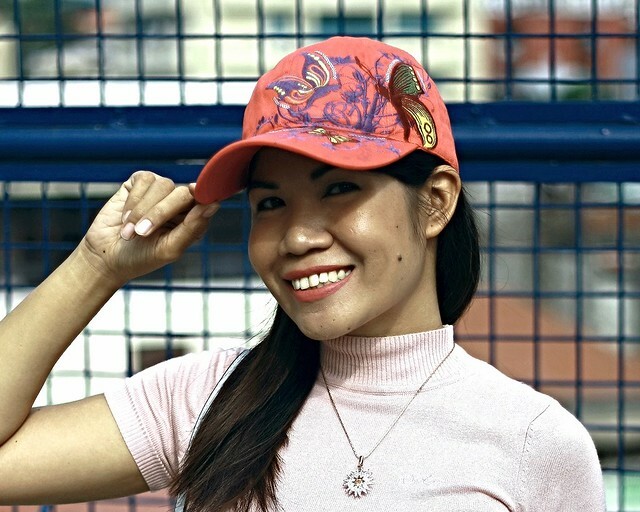 This butterfly embroidery baseball hat is so chic! I am crazy with embroidery and I will say it again now that my embroidery collection is growing. I love anything with embroidery. How about you? 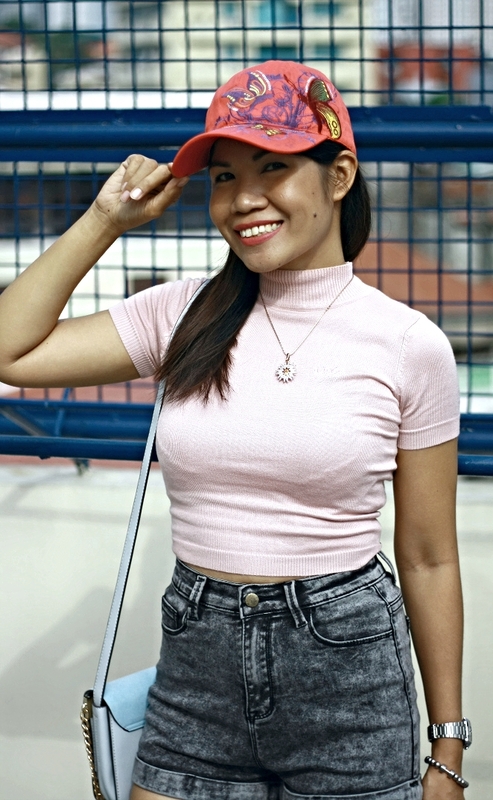 It's my first time to own a pink hat and guess who have a new favorite! Look at that details! So cute, love this sporty look and that bag I love!!!! So cute! Love the purse!